It's here! 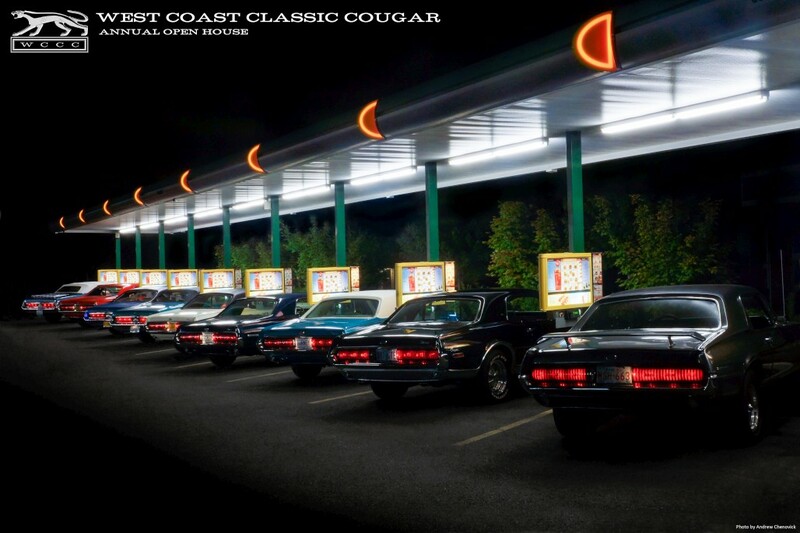 The 2017 edition of our popular classic Cougar calendar. Usually we let our photographer have all the fun, but this time we accepted photo submissions from our customers, ending up with three winners who made it to print. We also dedicated a page to the "honorable mentions." Thanks to everyone who got involved, we loved seeing your photos. 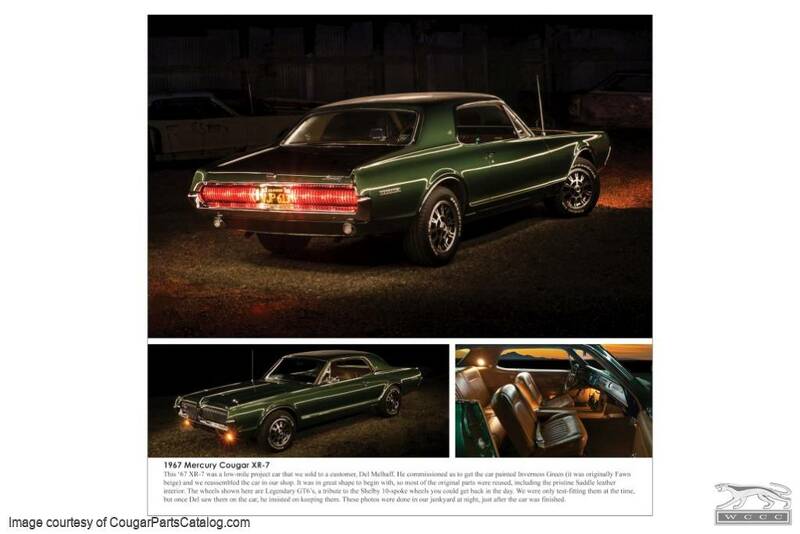 Each month page includes multiple photos, in addition to extra written info about every car. 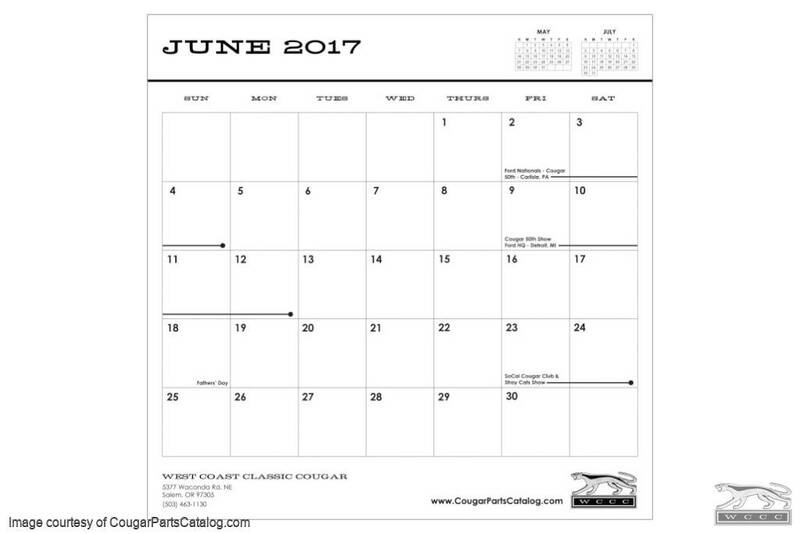 As an added bonus, scattered within are some fun little tidbits of Cougar history, as well as dates for the big 2017 shows celebrating the 50th anniversary of the Cougar. Measuring 12" X 24" when opened, this is the calendar you want hanging in your home, garage, or office! High quality printing, hole punched for easy hanging. 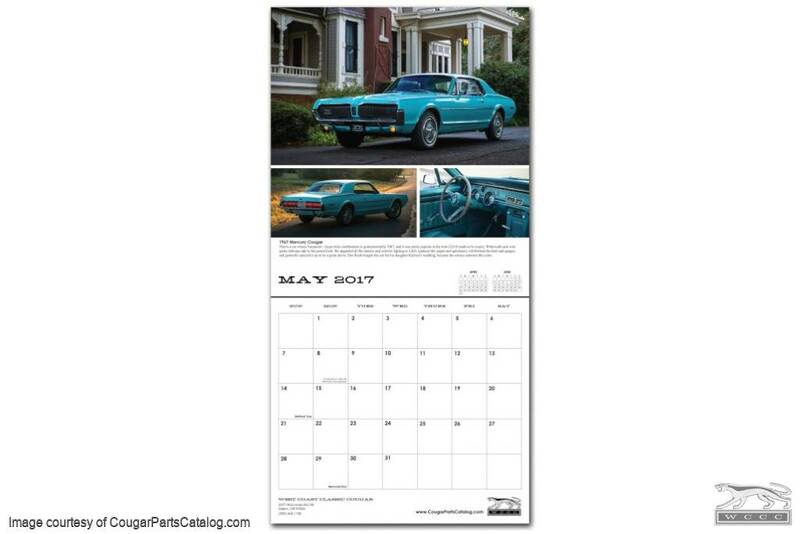 This isn't your average generic car calendar; it's a lovingly handcrafted piece made just for Cougar enthusiasts. In previous years, people have purchased multiple copies so they can cut one up and keep their favorite shots to hang on the wall. Will be shipped in a rigid envelope to avoid creasing. 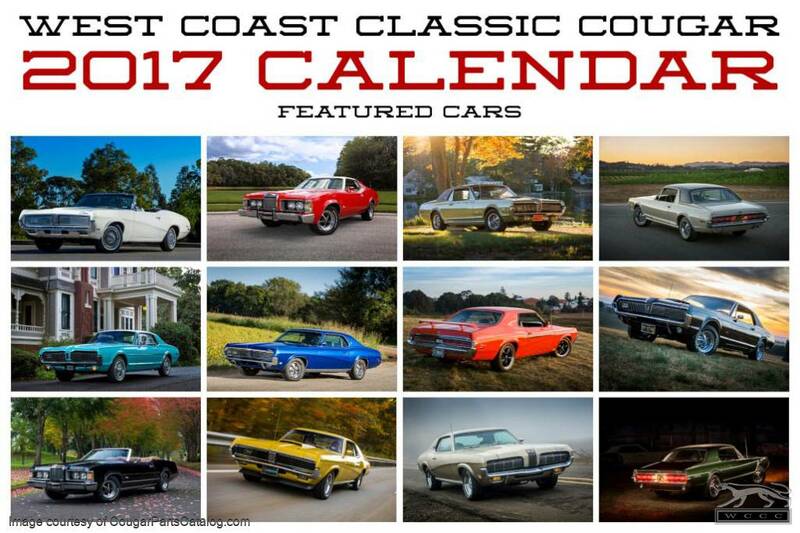 If your car is in this calendar, you get a free copy! Mention it in the order comments at checkout. Great pics & overall styling. I am building quite a collection of WCCC calendars. Looking forward to the upcoming years ..... maybe one of these years I will see my Cat in the loop. They also make great Christmas gifts for the Cougar enthusiasts. 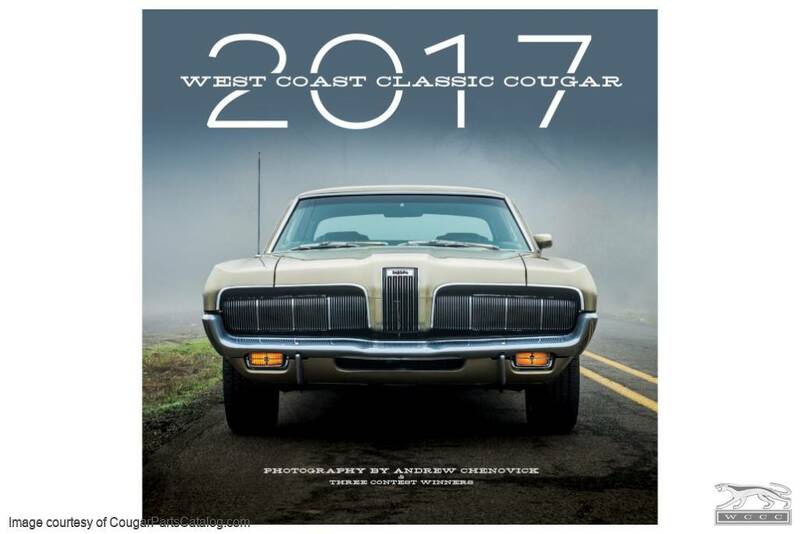 Super awesome cougar pics on the 2017 calendar. Another collector to add to my collection. Looking forward to 2018 version. Thanks WCCC ! Love WCCC calendars as they always have my favourite subject on them! 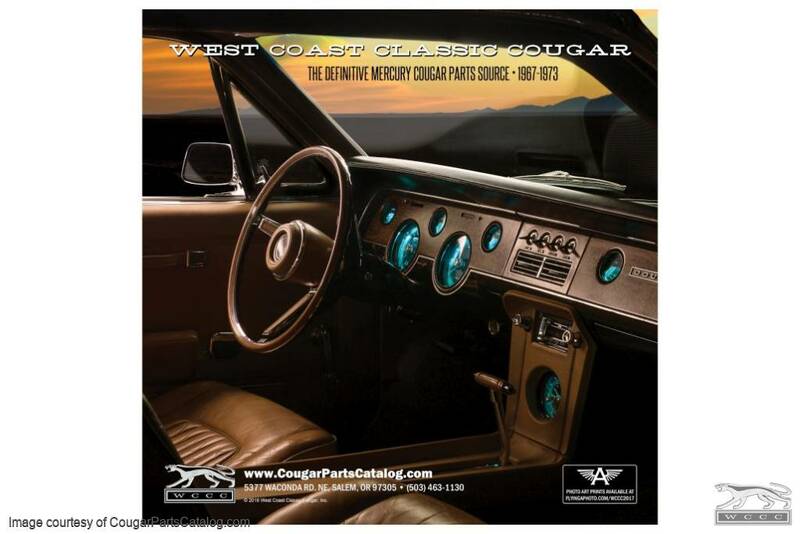 A must for any cougar owner !